Here at Lock Change Kitchener we offer a variety of different services to suit your needs. Locking mechanisms are everywhere these days, used for a wide range of daily hardware. From the doors in our homes, to our vehicles, to even safes and padlocks used to keep our valuables safe and protected. We often don’t think about the amount of parts that go into making them work properly, until they are no longer working. Maybe it’s the tumbler in your car’s ignition, or the deadbolt lock on your home’s front door is stuck. Whatever it is – we’re here to help get the job done quickly and effectively. The installation of deadbolt locks play a vital part in the security throughout your home. It is advised to have them installed in every major entranceway best protect your home. 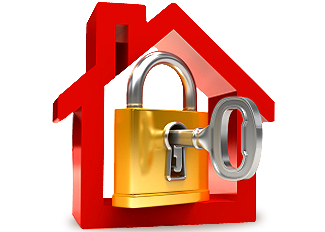 If you are living in an older home it may be worthwhile for you to have a technician out to access the overall security of your home to make sure your locks are still in good condition. Our Lock Change Kitchener specialists know how to best keep you and your loved ones safe. 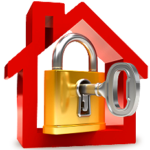 It is highly recommended to have your lock re-keyed whenever you are purchasing a new home. Or those times where you just need your lock to be changed entirely, our 24 hour service professionals come fully equipped a variety of quality hardware for your convenience. We all want our homes to look nice, both on the inside and the outside too. Lock Change Kitchener understands this, that’s why we carry a variety of different styles to choose from, ranging from economy to high end styles to fit every lifestyle & budget. At T&B Lock Change Kitchener we deliver quality service to suit all of your needs right here from your local area of Kitchener, ON. Regardless of the time of day or night, no matter the climate outside, our industry professionals will come to your automobile or home to provide you with the right equipment to suit your needs. So you can rest easy knowing your security is in good hands. Our highly trained and skilled Lock Change Kitchener specialists will be there when you need them most.